Downtown Portland, including a walk from Powell's Bookstore to the Oregon Maritime Museum and Tom McCall Waterfront Park. Black and white (and color) photos of Breitenbush Hot Springs in the Cascade Mountains. 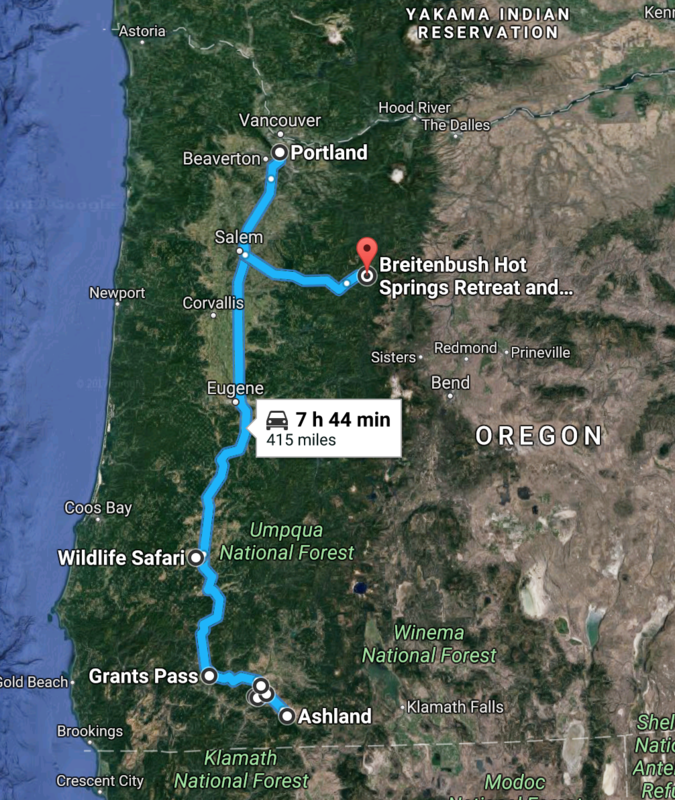 Ashland, Medford, Jacksonville, Central Point, Grants Pass, and Wildlife Safari, Winston. Start out at Powell's City of Books at Burnside, the largest used bookstore in the world, which encompasses a whole city block, and offers one million books for sale powells.com. 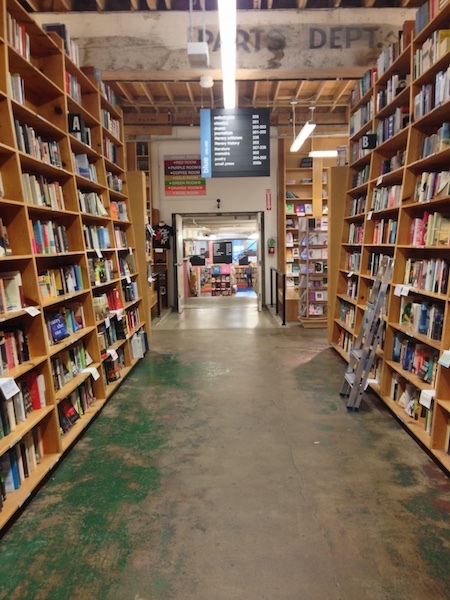 From Powell's, walk ten blocks southwest on Oak Street to arrive at the Oregon Maritime Museum and Tom McCall Waterfront Park on the Willamette River. Seen in this photo is the Battleship Oregon Memorial. The Navy's USS Oregon, launched in 1893, served many years until it was struck from the Naval Vessel Register on November 2, 1942. On December 7, 1942, there was a parade in Downtown Portland to commemorte the ship. 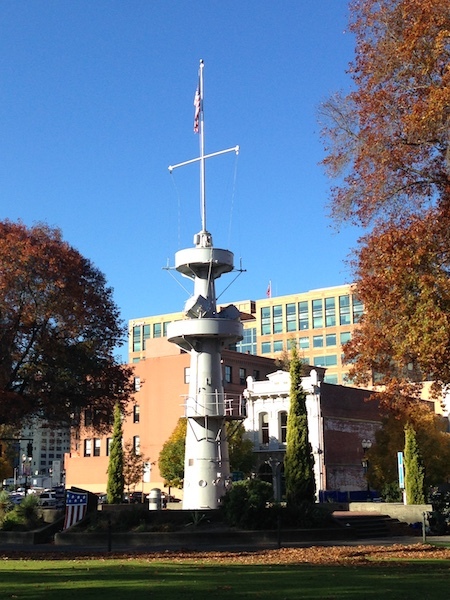 The mast of the USS Oregon survives as a memorial. On July 4, 1976, they sealed a time capsule in the base of the memorial. They will open the time capsule on July 5, 2076 Wikipedia. 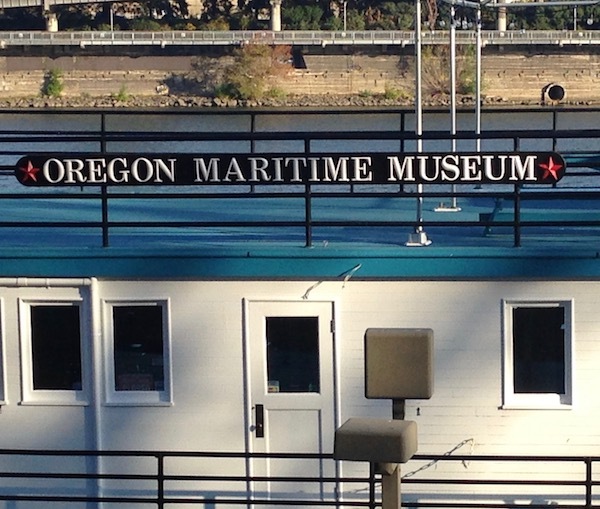 The Oregon Maritime Museum is housed inside the Portland sternwheel tugboat. 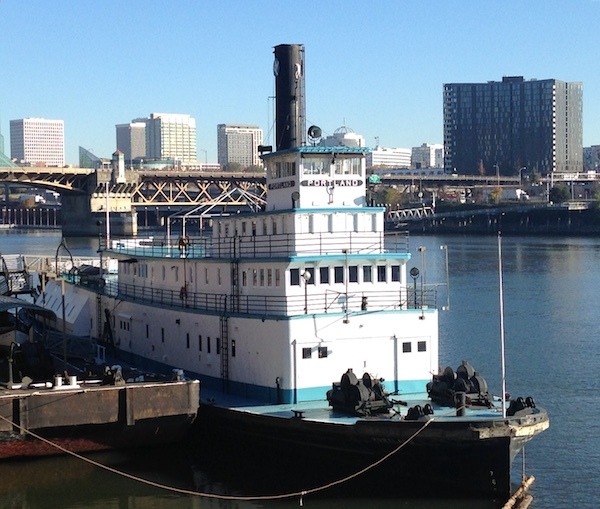 The Portland was built in 1947 and worked for many years on the Willamette to assist ships docking and passing through narrow bridge spans. 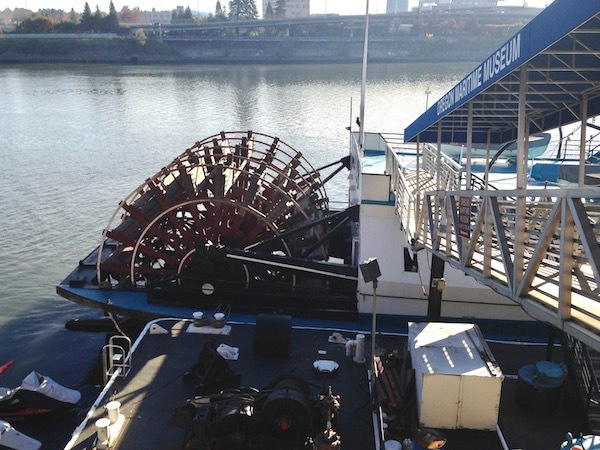 Volunteers are restoring the Portland and their goal is to rebuild the steam engines so the wheel can rotate and the steam whistle can againoregonmaritimemuseum.org. 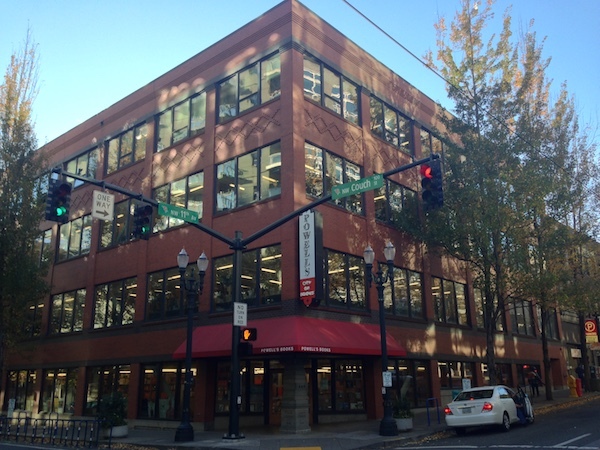 After the Maritime Museum, walk back up Oak Street to Big Pink, Portland's U.S. Bancorp Tower. Just inside the lobby, you can have a hearty vegetarian lunch at the Rabbits Cafe, 111 SW 5th Avenue rabbitscafepdx.com. 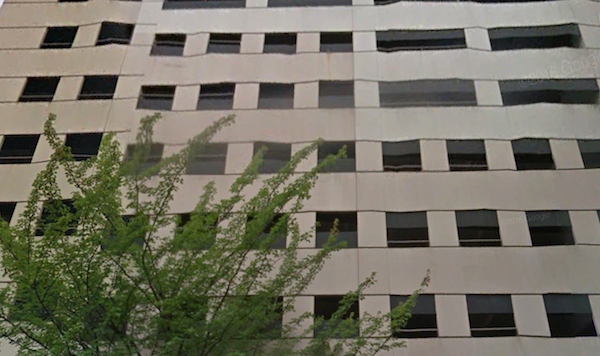 A shot of the forty-two story pink skyscraper, as seen on Google Earth. 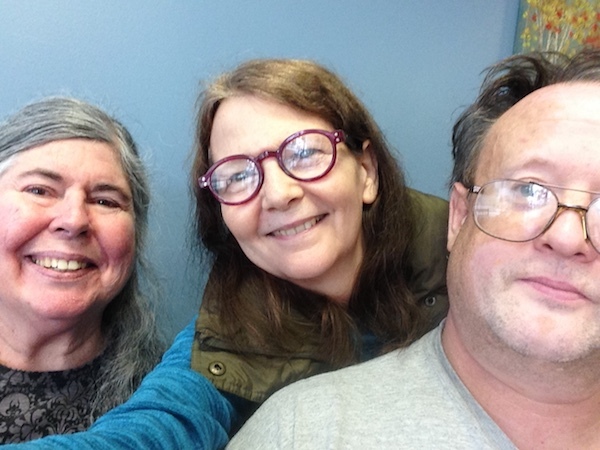 On the way out, I stopped in Salem for lunch with Melody and Verlyn. That's me photo bombing my friends in a selfie.